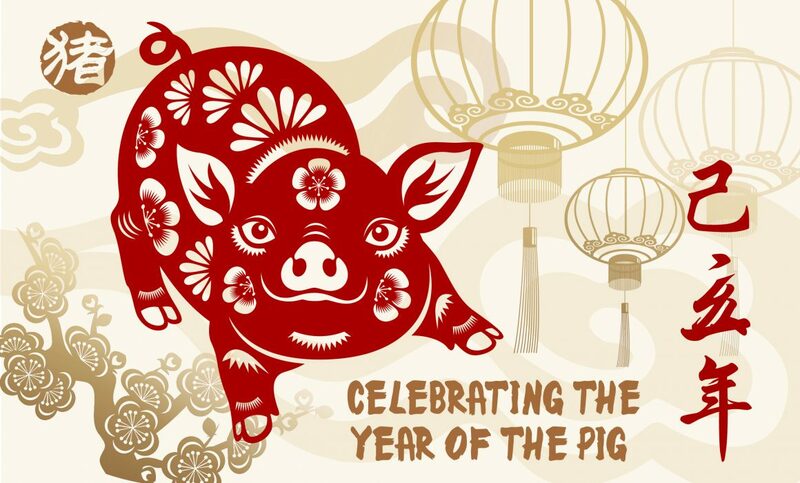 Today is Chinese New Year 2019, celebrating the year of the Pig! For those who are born in the year of either 1935, 1947, 1959, 1971, 1983, 1995, 2007 and 2019, you have the Animal Zodiac sign of the Pig 猪 (Zhū). Pigs are said to have a beautiful and generous personality and are blessed with good fortune in life. Yet, known to have features of laziness and clumsiness. Regarding a Pig’s career, they have a small set back in 2019, but for entrepreneurs it is a good year to develop businesses.